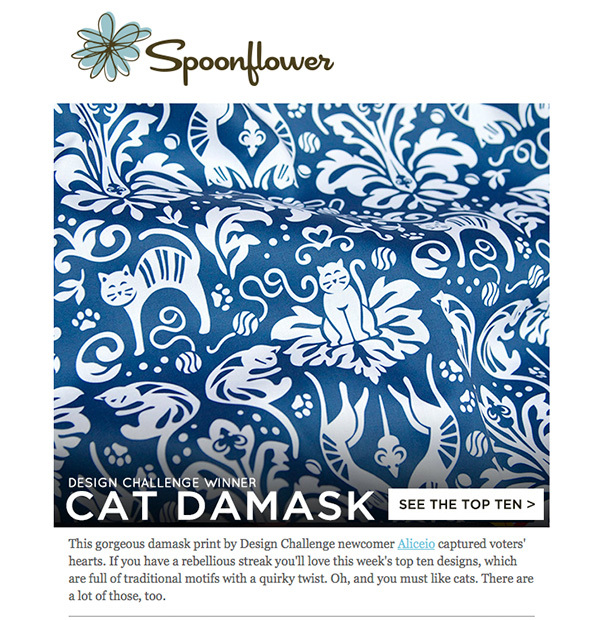 Totally excited that my entry into the Spoonflower Design Challenge for making a Cat Damask was voted #1. Thrilled to be exact. I had so much fun creating the design and was super happy with how it turned out. I think my illustrative style is perfect (or should I say purrrrfect) for this type of repeating print design, and I honestly geek out making repeats work. Screen capture from the Spoonflower enews announcing Design Challenge winners.